It seems like the vast majority of people compartmentalize themselves. There are the people they show to family and friends, built upon authenticity and genuine passions, and the people who wear work-appropriate masks to make a living from day to day. I understand how this happens. It’s not easy to identify the work that would feel meaningful for you, discover how you can get on that path, and then consistently take action to create the life you visualize. Recognizing what you want to do can take time, and the process of pursuing it can feel discouraging at times. We have immense power in creating what we visualize, but nothing is guaranteed, particularly when you want to do is something lots of people struggle to do. Still, what I’ve learned these past couple of years is that a joyful journey leading toward an uncertain destination is far more fulfilling than a meaningless journey headed toward something clear and specific. It isn’t necessarily the achievements that make us happy; it’s a sense that we’re spending our time in a way that leverages our talents and aligns with our passions and values. With this in mind, I was excited to speak with Karl Staib of Work Happy Now. Karl is an open-hearted person who told me on the day we met that one of his Super Powers is listening. He didn’t have to tell me; I could tell when I was talking about my passion for Tiny Buddha that he wasn’t waiting to talk; he was simply creating space for my enthusiasm. Recently, I had a few coaching sessions with Karl to explore my Super Powers. 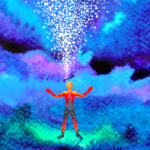 Since I found the whole experience enlightening, I’ve decided to share a little of what I learned from him along with my suggestions for leveraging Super Powers to choose meaningful work. Karl explains a Super Power is something people often come to you to do. It’s something you excel at, in part because it’s a talent but also because you enjoy doing it and do an amazing job at it. 1. Identify what you believe to be your best skills. Think about the skills you currently use in your work, the ones you use outside of it, and the ones you’ve used in the past. Include everything that you do well—listening, writing, problem-solving, persuading, connecting people, helping people reach fitness goals. Anything that you excel at. 2. Highlight the ones you feel passionate about. Which ones have you done for free in the past? Which ones get you so excited you could easily write a whole blog or book about them? Which ones feel fulfilling, enriching, and maybe even healing when you do them? 3. Cross out the ones you consistently have trouble focusing on. If you can rarely devote more than a half-hour to this skill, it likely isn’t a Super Power. You’re looking for those actions that you regularly get into the zone doing. A lot of people want themselves to do something that they don’t actually want to do—maybe because they think they should do it just because they’re good at it and can make a lot of money with it. I could have continued building a successful career in promotional marketing, but I a felt a slight resistance when getting ready for work. It was fun to travel and engage with people at concerts and sporting events, but I didn’t feel like I was making a meaningful difference in people’s lives. For me, marketing wasn’t a Super Power unless I was marketing something that mattered to me. If you have to force yourself to do something, cross it off the list. 4. Put a star next to the ones that other people recognize as strengths. For a Super Power to guide your career, it has to be something you excel at. If you love writing but you struggle with communicating your thoughts, this may not be a Super Power—yet. If you’re willing to put in the time, you can change that. Whatever you have highlighted and placed a star next to that isn’t crossed out is a Super Power that you could leverage to create meaningful, satisfying work. 1. Identify the long game and the short game. If your Super Power is helping people, your long game might be to become a therapist, write a book, or run workshops. The goal here isn’t necessarily to dream big—it’s to dream of what feels right for you. It might even mean a pay cut. My friend Angie is a successful lawyer. She recently told me that she ends up spending a lot of money to make herself feel better because she’s unhappy with her job, and that she’d rather love how she spends her time than have the means to buy away her unhappiness. It might feel scary to think of giving up money, but it all comes down to whether or not what you gain is more valuable to you. Your short game is what you need to do to transition into that new life you visualize. Do you need to save money to take classes? 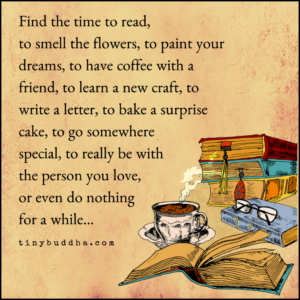 Do you need to create time in your schedule to write? Do you need to email people to get advice? You might not be able to immediately do what will you make you feel fulfilled, but you can start planting seeds to get there. Don’t worry about how long it will take. Just acknowledge that you want to start and you’re ready to do that now. A friend of mine once told me it’s too late for her to do something she loves. I asked her how she’d feel if in five years she was actually doing it. Would she regret having started late, or would she be glad she found the courage to try in spite of the years that past before she did? Whatever it is you enjoy, there is no reason not to start shaping a life around it now. It’s never too late until we decide it is. 2. Make a commitment to do something every day to work your goal. The important thing isn’t to arrive at tomorrow; it’s to keep moving forward. As long as you’re moving forward, you will get there, and there might be a lot different than how you planned it. It’s funny how opportunities have a way of evolving and surprising us when we find the courage to consistently take action. I had no idea the first day I tweeted a quote that Tiny Buddha would grow as it did. I still don’t know what exactly this might grow into. I just know I write, edit, and build every day. 3. Identify ways to use your Super Powers now. Even though it may take you time to transition into a more meaningful work situation, you can still incorporate the things you love into your life right now. If what you want to do is help people but you can’t publish a book tomorrow, start a blog. If you want to become a therapist but you know it will take years, volunteer for a hotline. It could even be to do one small thing each week, like share an uplifting comment on someone’s blog. By using your Super Power, you very well may open yourself up to professional opportunities. At the very least, you’ll make a positive difference in the world doing something that makes you feel fulfilled. With all this talk of Super Powers, I had to end with a hero reference, and it’s this: find and follow the path that makes sense to you.You may find that you prefer to earn a living through something you don’t feel passionate about and then leverage your Super Powers through your hobbies and free time. That isn’t inherently wrong. If that’s how you want to spend your time, then what’s right is to go with your own gut. But if you feel like you’re not filling your days in a way that feels purposeful and fulfills you, find the courage to figure out what would and then do something about it today. *If you need a little more help identifying your Super Powers, I highly recommend working with Karl or reading his site, Work Happy Now!